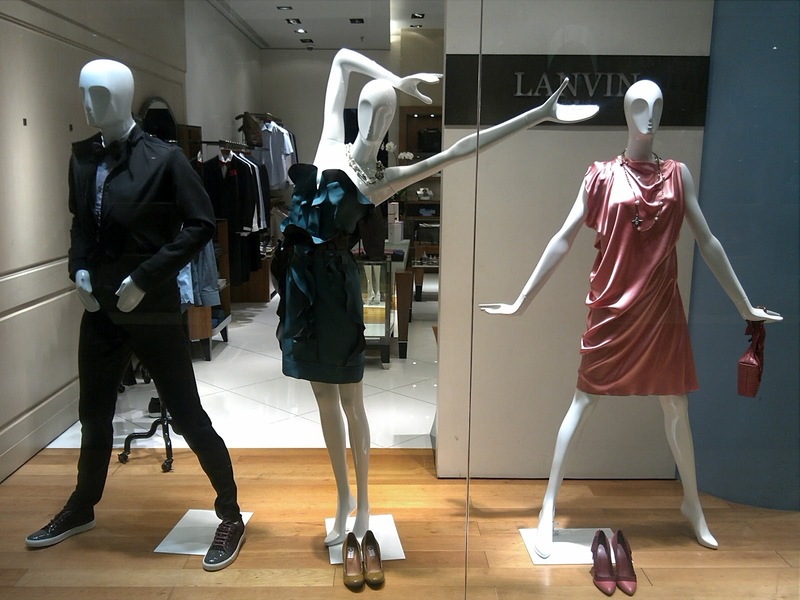 There are no properties exist except for 3 mannequins inside Lanvin window display. 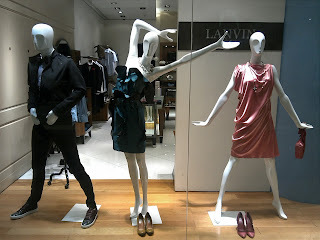 However, in the realm of this blank lonely display, spark two very beautiful Lanvin mini dresses worn by the lucky mannequins. 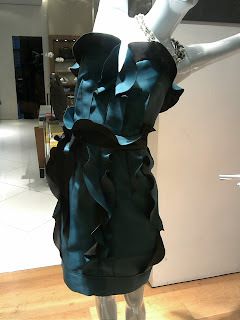 The first one in dark green color that look like a sculpture of ribbon or vegetal, and the second is the fluid draped bright pastel pink dress. 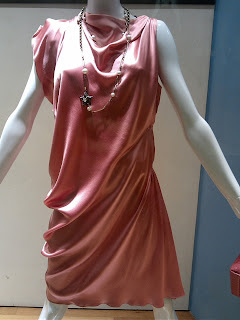 These two beautiful things caught my eye, or perhaps other visitor's, directly when pass by this boutique. Je t'aime Lanvin.